For some time, I’ve been writing about various abuses by private corporate oriented elite Foundations and their self serving puppets in the non-profit community. I’ve focused on how they: 1) displace government, 2) seize the policy agenda, 3) frame the issue, 4) co-opt real community activists, 5) use funding to control groups and individuals and marginalize critics, 6) define so called “reforms” (also called “fake solutions”) and 7) ignore basic democratic accountability mechanisms and public policy development processes. 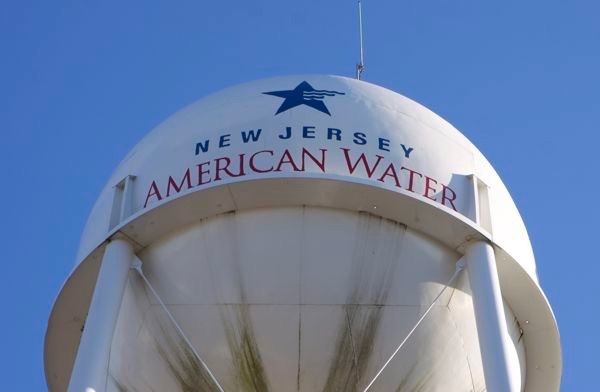 At the same time, private water companies, assisted by Democratic and Republic lawmakers and Governors, have aggressively sought to privatize public drinking water systems across NJ. That Task Force is led by Chris Daggett, of the elite Dodge Foundation. Dodge is notorious for funding private, individual, market oriented, non-regulatory and voluntary initiatives that displace government and traditional regulatory interventions. Dodge uses funding to control the agenda and the advocacy efforts of the groups they fund. Dodge is the epitome of what journalist Anand Giridharadas has called “the elite charade”. NJ Future also collaborated with Gov. Christie by using “resilience” as a slogan and taking DEP money to divert public attention away from the failures of the Christie administration to respond to climate change and coastal risks. Of course, the Task Force includes several representatives of the water companies that seek to avoid high cost real solutions, like regulatory mandates and community involvement to solving the lead problems. Similarly, the token “academic” representative is none other than the pliant former DEP bureaucrat, Dan Van Abs, who tried to shape the water agenda from his perch at Rutgers and NJ Spotlight, where he rarely speaks truth to power. The Task Force includes several member of the Murphy administration’s government agencies (DEP, BPU, DCA and DoH), which demonstrates a total failure of leadership by Governor Murphy and DEP Commissioner McCabe and a very curious approach to developing public policy. The Task Force effectively has displaced government policy development and amounts to an abdication of responsibility and an outsourcing of essential government regulatory functions to protect public health and enforce environmental laws. The two environmental group members have both shown tendencies to play the inside game, opportunistically seek Foundation funding, sell out and stab local activists in the back, and engage in “transactional” schemes (like Amy Goldmith’s endorsement of Chris Christie for Governor in 2009). Finally, the Task Force ignores real community based environmental justice advocates, but does include a sop appointee.